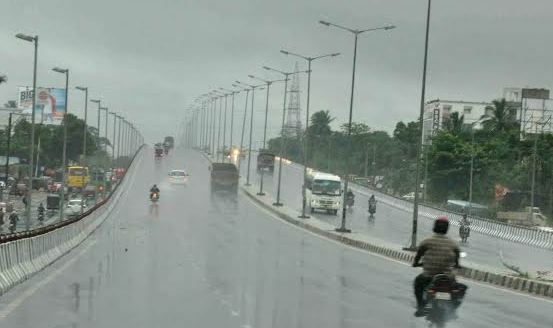 Bhubaneswar: Odisha has received a deficit rainfall of 25.6 per cent in June this year, said an official on Sunday. 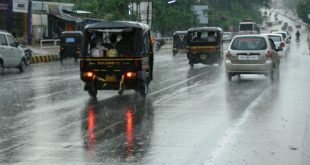 During June, Odisha got average rainfall of 161.1 mm against the Long Term Average (LTA) of 216.5 mm registering a deficit of 25.6%. Balasore district received the highest rainfall of 268.9 mm during the month whereas Balangir district received the lowest rainfall of 97.3 mm. 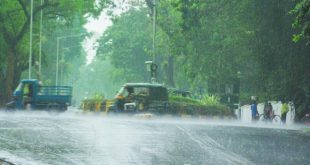 As many as 2 districts namely Balasore and Kendrapara received surplus rainfall more than 19%, the official said. Seven districts which received normal rainfall (+ 19% to – 19%) are Bhadrak, Jagatsinghpur, Jajpur, Malkangiri, Cuttack, Khordha and Puri. Rainfall in 13 districts namely, Jharsuguda, Sambalpur, Mayurbhanj, Keonjhar, Dhenkanal, Gajapati, Bargarh, Kandhamal. Rayagada, Boudh, Deogarh, Sundargarh and Koraput remained deficit between 19% & 39% during the month. Rainfall in 8 districts namely, Nuapada, Ganjam, Subarnapur, Angul, Nayagarh, Balangir, Nawarangpur and Kalahandi remained severe deficit between 39% & 59% during the month. On an average, the State experiences 9.9 rainy days in the month of June. There were 8.1 rainy days during June this year. 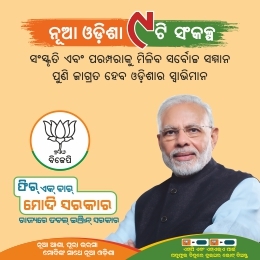 Going by blocks, out of 314 blocks in the State, while 35 blocks have received surplus rainfall and 83 blocks have received normal rainfall, the rainfall in remaining 196 Blcoks has remained deficit by more than 19%. Of them, there is more than 59% deficit rainfall in 43 blocks.